We are a Sport England Club Mark accredited club. Our state of the art facility is fully inclusive and open to all within the community from the age of five. We offer a range of classes and fitness training suitable for all abilities, we box competitively to National and International standards. All of our staff are fully DBS checked and trained to exceptional standards. 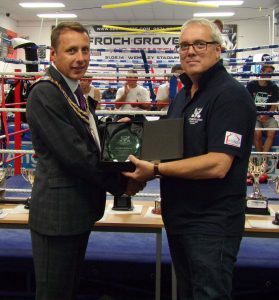 Throughout the positive promotion of boxing, physical activity and the essential disciplines that underpin the sport. We are committed to training to the highest standards to ensure members reach optimum success, whilst actively encouraging and promoting education within the sport. Consistently striving to improve the fitness of bodies and minds whilst creating fun and enjoyment within the community. Producing role models and ambassadors that promote and encourage others to understand, follow and better themselves by getting involved in sport. Our motivational team of 12 coaches is lead by Jon Dennis, Jon is a level 3 boxing coach and has 20 years experience in the sport. Our state of the art facilities are open 6 days a week, the quality and content of our training regime is set to exceptionally high standards. 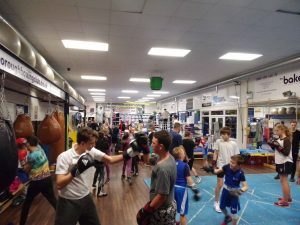 We hold 3 boxing shows per year and regularly invite numerous other clubs to our facilities in order to provide quality sparring opportunities. Our competition squad regularly travel all over the country both to spar and compete in club shows. 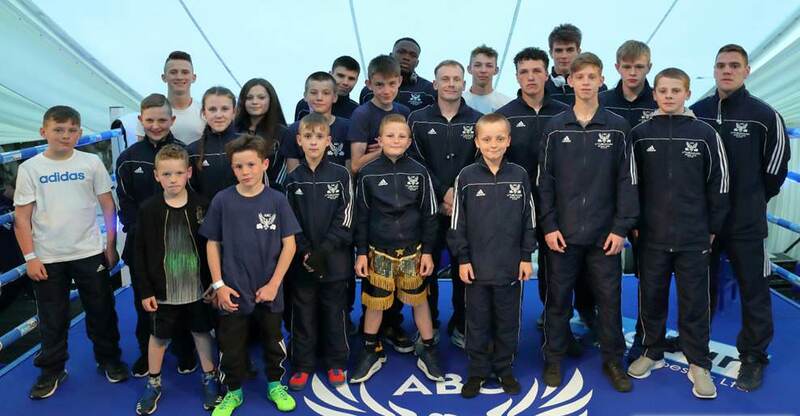 We enter our boxers into national competition and travel internationally to compete in elite tournaments and to participate in development training camps. Each individual boxer is encouraged and inspired to reach their optimum potential, we provide every opportunity to succeed. All our boxers need to do is work hard in order to reach for the stars. No experience is necessary to begin, just come along to any of our junior/ senior open sessions and speak to us about your individual goals and ambitions. Boxing fitness is regarded by many as superior to any other sport. We welcome everyone to participate in our fun, varied and exciting sessions. There is no need to ever step into the ring or have any boxing or sparring contact (unless you want to of course! ), we have many members that come along purely to get fit, toned and conditioned. 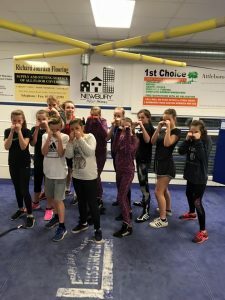 All of our junior/senior sessions are open to both men and women however we hold a ladies night every Tuesday with a choice of 2 fantastic body toning fitness classes … and for Youngsters aged 5 to 9 our games based Young Rockys sessions are perfect. With 11 sessions running each week (more being added very soon) we have something to suit everyone! We cater for all ages and abilities and are fully inclusive, our motivational and highly trained coaches will help each individual improve their all round fitness and wellbeing. See our training schedule for times and sessions, please come along to the open sessions appropriate to you and see what we have to offer. Our club is a fantastic safe haven and great social environment in which to thrive. The underpinning essential disciplines taught within the sport can improve all round mental wellbeing. Our members see improvements in focus, self control, self motivation, self esteem, confidence and communication skills. All key ingredients in building successful individuals futures. ABC is purely voluntarily ran. Each penny we raise gets put directly back into the club and its members. With no wages to pay this allows us to keep our session and membership costs very low and allows us to consistently improve the facilities, equipment and quality of training we provide. We fully adhere to England Boxing’s comprehensive policies and procedures. All of our staff are fully DBS checked, first aid and child welfare trained. We consistently look at avenues of continual professional development to enhance our knowledge, continue advancing and keep up to date with the latest innovative training techniques and practices. We hold the prestigious Sport England Club Mark accreditation awarded to us for exceptional standards of practice and are continually looking at ways to expand and evolve. We work with numerous education providers bringing our knowledge directly into education. Look out for new and exciting opportunities to get involved with ABC … Much is planned for this year.